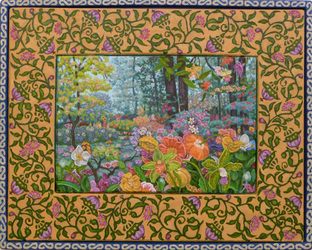 _The bold flowers and repeating geometric patterns in this series of paintings are lushly modeled in oil paint, and are coupled with the use of inlaid wood. Surrounding the colorful and whimsical bouquets and garlands is a border of complimentary colors rife with kaleidoscopic floral images to further entice the eye. 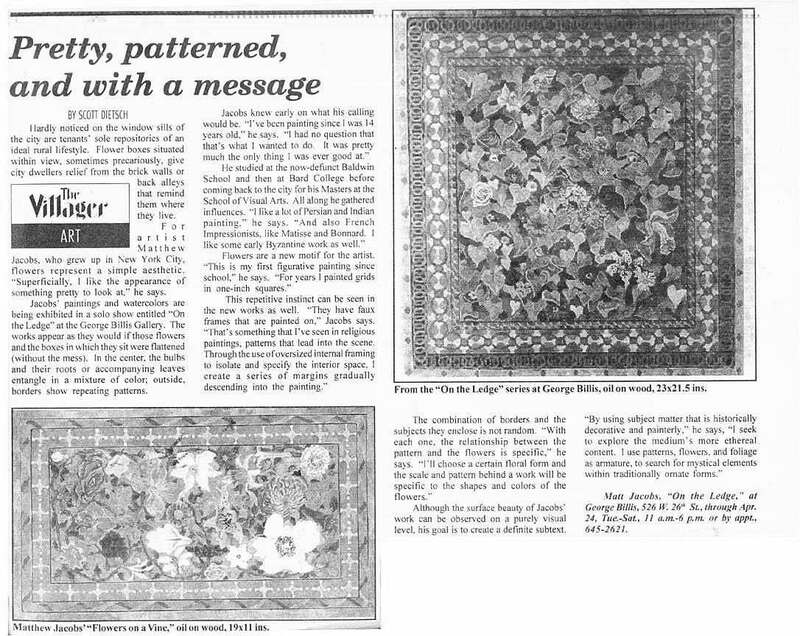 Influences of Persian miniatures and French Baroque are prevalent, as well as traditional floral painting which was used to document nature’s beauty. 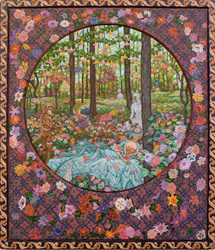 The artist states, “By using subject matter that is historically decorative and painterly, I seek to explore the medium’s more ethereal content.” The paintings become visually intense and hallucinatory as different varieties of flowers and leaves dance and intertwine in the geometry of the surrounding patterns. Traditionally mysticism was effectively communicated in painting through an assortment of lyrical, painterly indulgences, creating a supernatural, as well as an escapist experience. 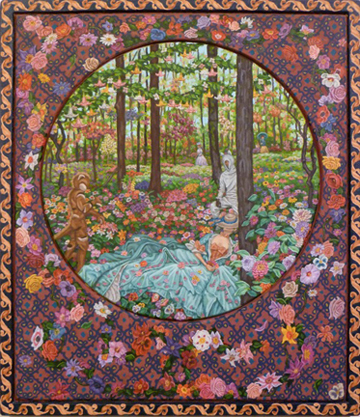 Matt Jacobs says, “I use patterns, flowers and foliage to create a kind of euphoric lushness.” The artist says, “I’m trying to integrate painting’s supernatural history with its more decadent and hedonistic nature. Through the use of oversized external framing to isolate and specify the interior space, I create a series of margins gradually descending into the painting.” Jacobs began working abstractly over 10 years ago by painting grids in one-inch squares. 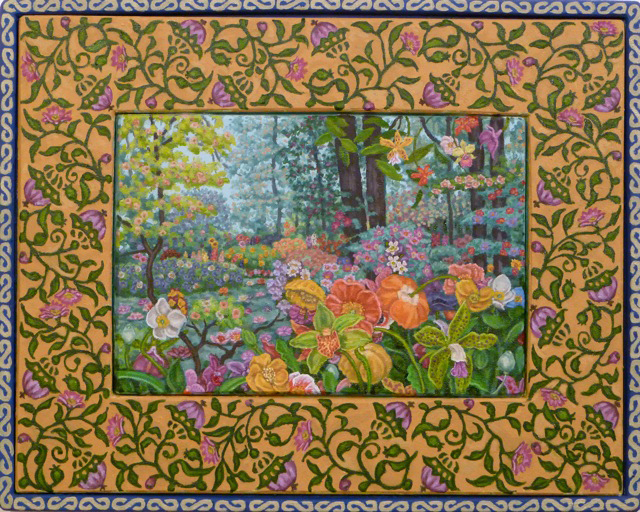 This repetitive instinct can be seen in the current floral based work as well.